It is rumoured the tiles (maybe even the stone) came from an old house, does anyone know anything about this? When was the Health Centre built? 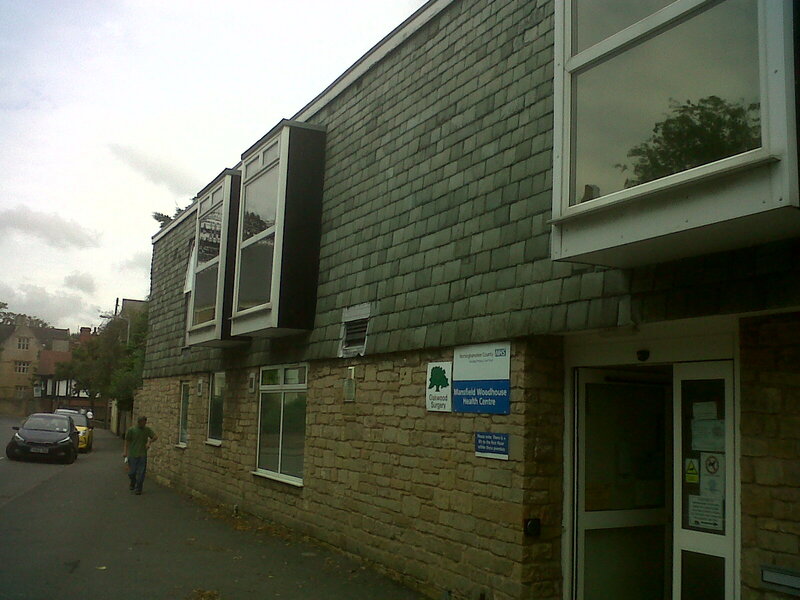 Yes, this is the Oakwood Surgery at Mansfield Woodhouse, and altered slightly from the original building, by it’s enlargement a number of years ago. I believe also the building won a Civic Society award for the quality of construction within the area of Church St, a conservation area. Heard nothing about stone or tiles from anywhere being used, but the new part was faced up I believe in reclaimed stone, which will have been part of a previous building elsewhere for certain. Most likely a stipulation for an area such as this. 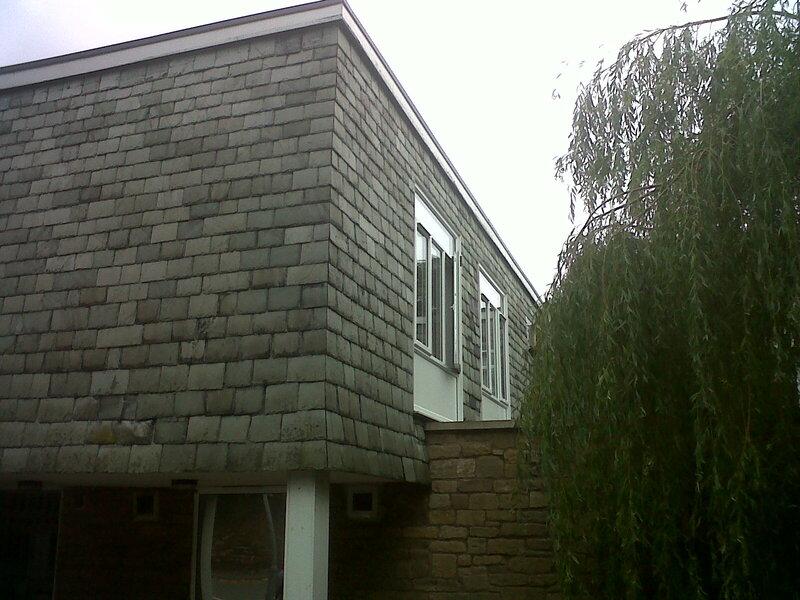 I believe also that the surgery, like the library, are examples of CLASP building (Consortium of local authorities special programme) A mid 20th C method of quick building erection suited to high subsidence areas such as ours, whereby damaged portions can be replaced if needed in a relatively small space of time. Many schools across Nott’s and Derbyshire are examples of this method of building, with many local people and building contractors erecting this type of structure round and about. Tile hanging is one of the possible visibly pleasing aesthetic effects of such buildings, and you can still see many County Council buildings in this style, one of the most recent to be demolished was the old St John street health centre in Mansfield,where now resides an empty space.his.